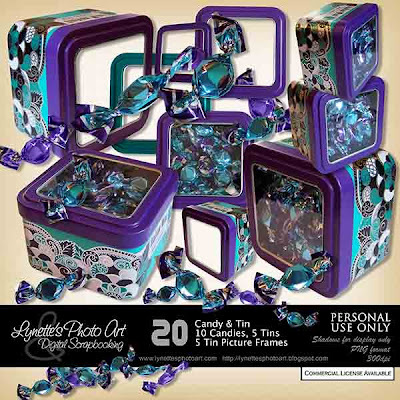 Candy & Tins has 20 large, high resolution gorgeous elements including 10 different candies, 5 tins and 5 tin frames. $3.99 at my PayPal store. Click image to enlarge. Click Buy It Now button below image to purchase. Today I'm giving you a piece of this fun kit to try. Enjoy!